More than a martial art, Capoeira is a philosophy, a way to understand oneself and surely a great satisfaction! Ginga Saroba organizes its second workshop and for the first time with John Britto! 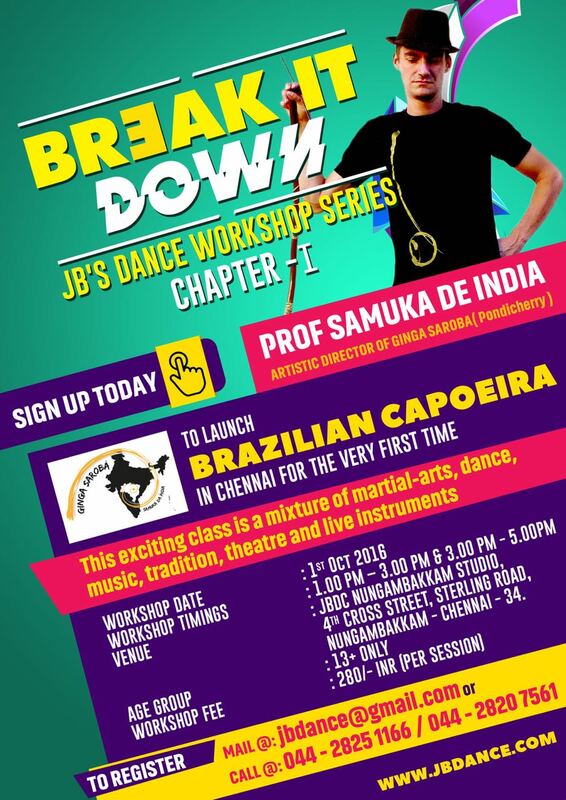 It will be the first of a monthly series aiming to introduce the Capoeira art to Chennai.